Tap the Change Duty Status dropdown list. 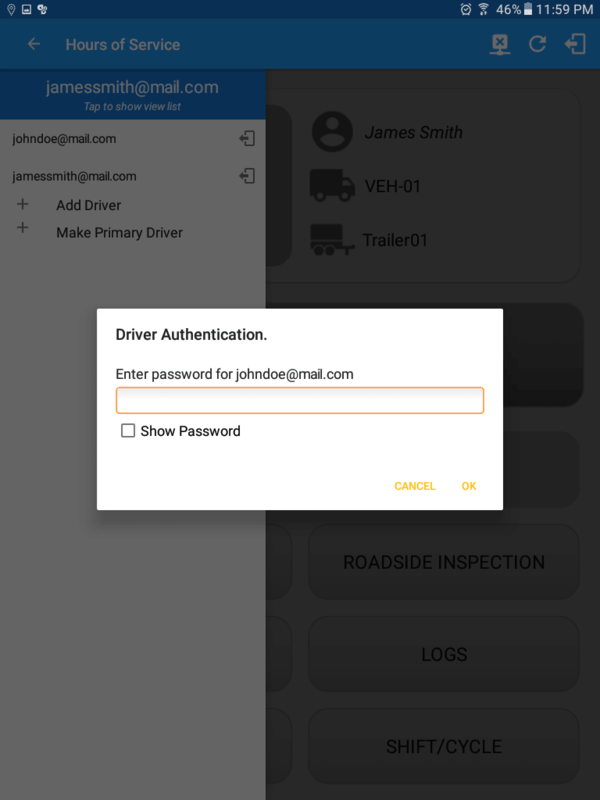 Select ‘DRIVING’ as the driver duty status for the first driver from the said drop-down list. Tap ‘YES’ to automatically change the status of the other driver to ‘ON DUTY’. When a co-driver is on Review Mode and that the vehicle is not in motion, the Make Primary Driver option is available to make the co-driver as the primary driver. 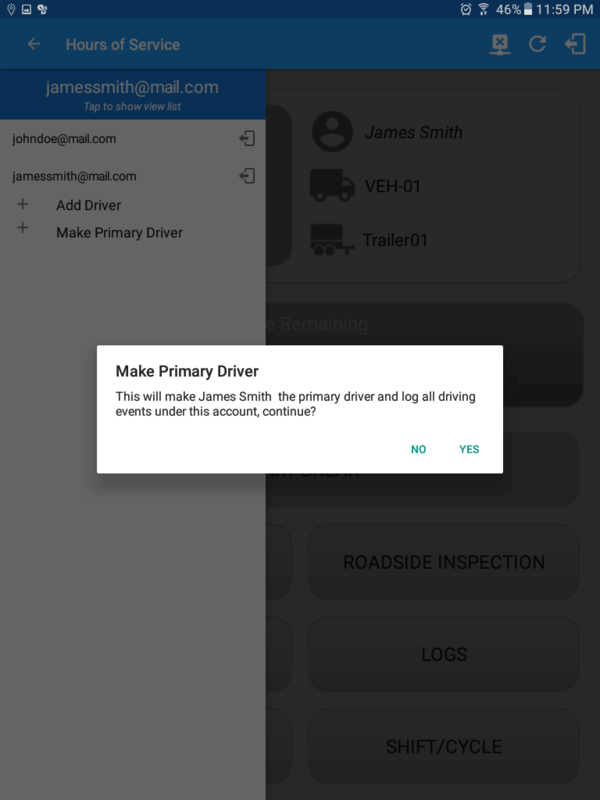 Tap on the Make Primary Driver button to display the Make Primary Driver dialog with a Yes or No confirmation. 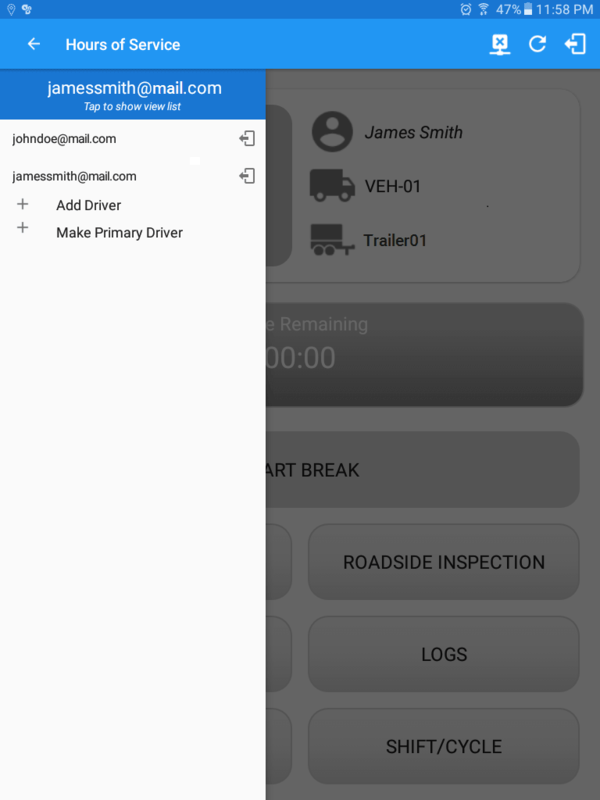 Note: The Make Primary Driver option will not display if the main driver (current primary driver) status is Driving, instead a different text will display. The switch truck option in the left menu is no longer available. Accepting a Requested Driving event is also not allowed. Attempts to accept or reject the Driving event will display an Error dialog stating “Only “Primary Driver” can switch to “Driving” as current status.